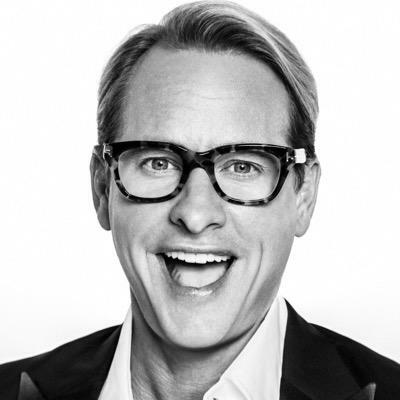 LITTLE ROCK, AR (Sept. 29, 2015) – Celebrity stylist and Emmy award-winning television personality Carson Kressley is bringing his inimitable brand of fashion expertise to Little Rock. The famed style commentator will host the “Looks for Less” fashion show at Outlets of Little Rock at 3 p.m. on Saturday, Oct. 17. Kressley is perhaps best known as a member of the “Fab Five” from Bravo’s pioneering reality show Queer Eye. He later went on to host his own shows: How to Look Good Naked on Lifetime and Carson Nation on the Oprah Winfrey Network. He is a frequent contributor to Good Morning America and the E! Network. Kressley is also a fashion designer and author of a series of books on style. The “Looks for Less” fashion show is free to the public and will feature the latest fall and winter fashions for a fraction of the cost. Attendees will learn how to put together a stylish wardrobe without breaking the bank. The fashion show will be styled and produced by the New England Development group and a team of New York-based stylists. Shoppers won’t want to miss this production featuring styles available at the stores that weekend. “Looks for Less” is just one of several free events planned as part of grand opening weekend. The festivities begin Thursday, Oct. 15 with the “Open Doors. Open Hearts” Charity Preview Night. Guests can get an exclusive first look at the new 325,000-square-foot open air outlet center with an evening of shopping, savings, prize giveaways, entertainment and more. All proceeds from the $20 ticket go to support local charities. Guests can purchase their tickets and choose the charity to designate the money to by visiting www.outletsoflittlerock.com. Outlets of Little Rock officially welcomes shoppers to the center Friday, Oct. 16 with a ribbon cutting at 9:30 a.m. open to the public, followed by stores opening to shoppers at 10 a.m. Saturday’s grand opening schedule will feature the fashion show, along with entertainment and door prize giveaways throughout the day. Sunday, Oct. 18 is Family Fun Day. Fun activities for all ages are planned from noon to 2 p.m., including a balloon artist, face painting, stilt walker, music, and character greetings from your favorite princesses and super heroes. “Open Doors. Open Hearts” Charity Preview Night from 5-9 p.m.: Tickets are $20 with 100 percent of the proceeds going to local charities. Purchase tickets at www.outletsoflittlerock.com. First day of shopping from 10 a.m. to 9 p.m.
Store hours from 10 a.m. to 9 p.m.
Store hours from 11 a.m. to 6 p.m.
For more information on these events, visit www.outletsoflittlerock.com. Real Brands. Unreal Savings. Save up to 70 percent off on America’s most desired brands at Outlets of Little Rock, a project of New England Development. Located at the intersection of I-30 and I-430, this open-air lifestyle destination features some of the most popular brand names. Visit outletsoflittlerock.com. Follow us on Facebook @outletsoflittlerock, Twitter @outletsoflr and Instagram @outletsoflr. For group tour information, email tours@outletsoflittleorock.com. For more than 35 years, New England Development has taken a creative, entrepreneurial approach to real estate development and management, delivering and sustaining successful projects across a wide range of property types and across the country. New England Development’s growing portfolio of retail projects includes an exciting mix of outlet centers including Asheville Outlets® in Asheville, North Carolina and Palm Beach Outlets in West Palm Beach, Florida. Outlets of Little Rock in Little Rock, Ark., will open October 16, 2015. Additional outlet centers in development include Outlets of Des Moines in Altoona, Iowa; Clarksburg Premium Outlets ® in Clarksburg, Maryland; and Outlets of Michigan in Romulus, Michigan.